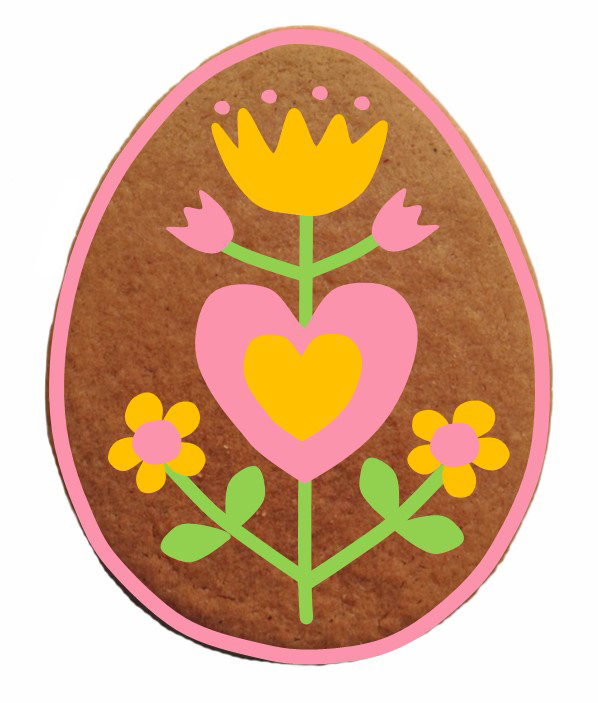 THE GINGER COOKIE: COMPLICATED EASTER COOKIES - WHAT NOT TO DO! 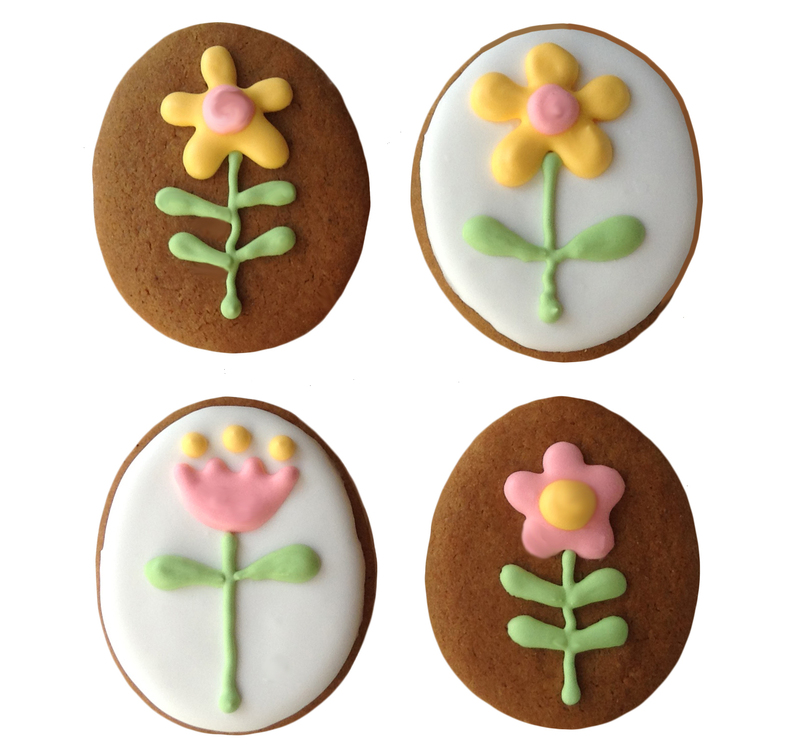 COMPLICATED EASTER COOKIES - WHAT NOT TO DO! 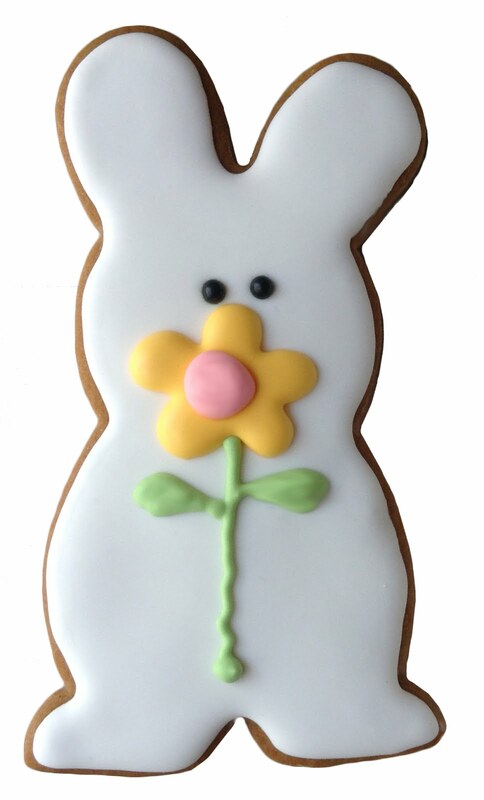 Easter was early this year and the cookies were baked in time. But then . . . They just didn't get decorated! I planned what I wanted to do on the computer - my favorite planning tool. 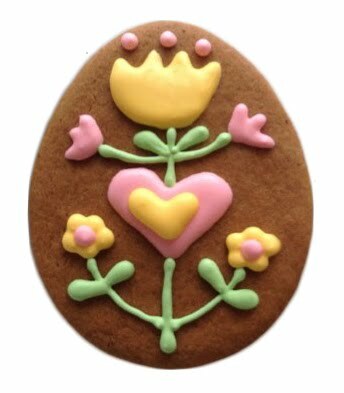 I take a photo of the cookie and decorate it with the drawing tools in MS Publisher. 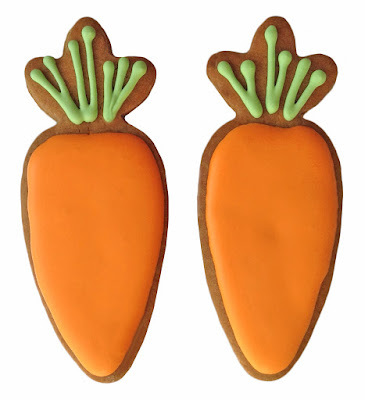 It's a lot easier than decorating the cookie with real icing! This is a blog about what not to do and what I finally did do. When I decorated the cookies I piped the flowers first and had too much stem so I added leaves. The first thing not to do is to attempt a complicated design without either a template or a KopyKake projector. I didn't take the time to make a template and I don't have a KopyKake projector. The second thing not to do is to try to make a complicated design when you are in a hurry! And Easter was long gone so I didn't have much incentive. 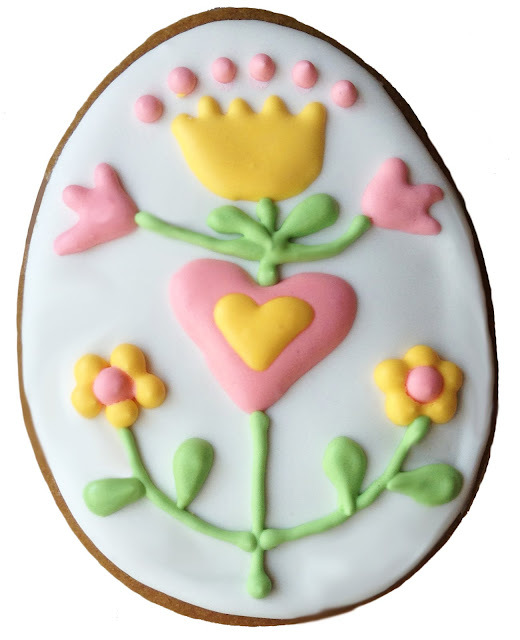 I liked the design but since I just wanted to finally get the cookies finished and was in a hurry - the elements didn't line up very well. In a hurry - medium sized eggs came out much better. And little eggs came out best of all. I made my favorite bunny without the arms this year (see here for arms) but with a different flower to match the eggs. And where there's a bunny there has to be a carrot or two! "Good job! 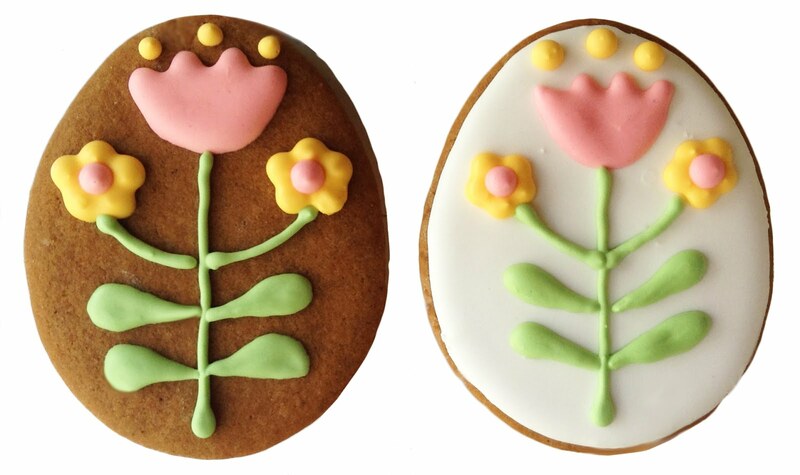 ", everyone who got Easter cookies made in time for EASTER! Blogger had a little spacing problem AGAIN! I hope I've resolved it . . .